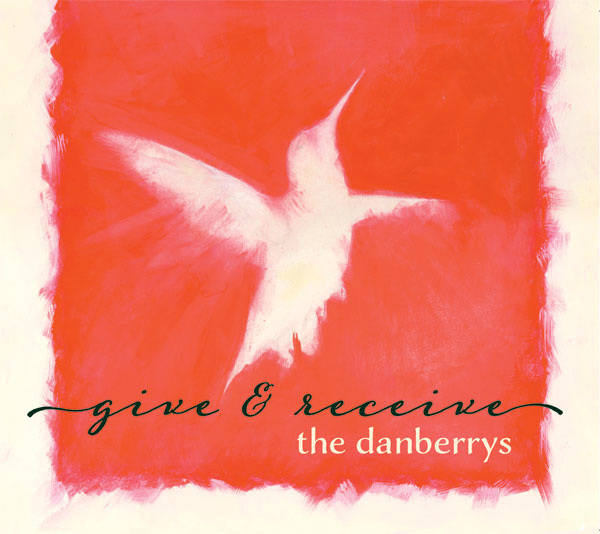 ALBUM REVIEW: THE DANBERRYS, "Give & Receive"
Something to sink my teeth into, rich with acoustic guitars, mandolins, violins and shiver-inducing harmonies. Although The Danberrys, who hail from East Nashville, are a band, the two main drivers are Ben Deberry on guitar and vocals and Dorothy Daniel on vocals. The two have one of the sweetest blendings of voices and these songs are ripe with melody, emotion and pure, American soul. This album, their fourth release, is one fine slice of Americana. Starting with “Receive”, the slow, mournful nature of the song actually turns into one of hope and uplift; the use of fiddle and subtle mandolin gives a greater dramatic feel along with the simply gorgeous harmony; “Lady Belle” is an acoustic tour-de-force with Ms. Daniel’s vocals gripping and fluid and “Long Song” is a deep country piece, raging with banjo, fiddle, mandolin and a galloping rhythm that walks straight out of the Bill Monroe school of bluegrass. “Let Me Go” is stripped down to just two guitars and Dorothy Daniel’s echo-y and mesmerizing vocals; “Get Back Home” is possibly the album’s highlight (there are several standouts) but this one builds slowly with tension and then grows into a full canvas of sound with the layering of the instruments and “We’ll Be Done” is quiet, thoughtful and closes the album in a low-key and apt manner. This is one of those albums that will be a regular re-visit; it’s not hard to understand why. The quality of the performances; the vocals and the subdued nature of the collection is appealing regardless of what frame of mind you may be in. Give & Receive will either make you think or soothe your mind.